The Sheridan Junior High School Choir received top rankings at the Region 3 Arkansas Choral Directors Association's Choral Performance Assessment Festival. The festival was held Feb. 25 at the University of Arkansas at Monticello. There were 93 schools in attendance. Each choral group performed before a panel of judges and was assessed based on vocal ensemble sound, style and correctness of music, tone quality and sight reading skills. Representing SJHS were 40 eighth and ninth grade students, along with their teacher, Karen Robinson. Although this was their first time to attend the festival in recent years, the SJHS choral students earned a plaque after receiving aII Excellent scores for sight reading and a Division I Superior score for performance. Each judge graded on a scale of 50 to 100 points. The SJHS Choir received two scores of 97 and a score of 95. "Out of the 93 choral groups performing," said Robinson, "the SJHS Choir received the top scores in the Junior High Mixed Choir division and were second only to a high school choir from Magnolia." Region 3 includes schools from the Southeast and Southwest regions of the state. 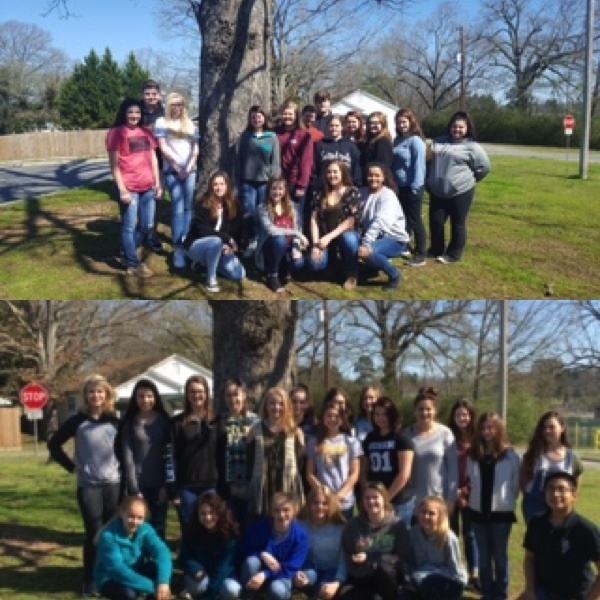 Students involved in the program were: Aurora Ingram, Lexi Peck, Danielle Crutchfield, Kaylee Lewellen, Grace Crawford, Amber Sutton, Amber Morton, Ava Morgan, Caitlin Crowson, Jeri Holland, Carianne Kelly, Julia Germaine, Hadley Stanage, Zoie Autrey, Liberty Crouse, Salvador Quero, Autumn Bowden, Lauren Nutt,Kylee Olmstead, Olivia McCool, Sloane Oliver, Megan McNeil, Austin Cox, Tristen Ward, Emily Parnell, Kaylee Harris Olivia Hicks, Katelyn Keller, Ashley Shaw, Bethany Black, Amaya Roschel, Zaida Collums, Hailey Jones, Caitlin Bryson, Samantha Lamont, Grace Vance, Carol Cantrell, and Madison McPherson.